Stryker Corporation, the makers of Rejuvenate and ABG II brand artificial hip implants, have agreed to resolve over 4,000 claims against the company for more than a billion dollars. The hip implants were recalled in 2012 after Stryker sent recall notices to physicians and hospitals around the country. The notices advised doctors that the implants could corrode or wear away, leading to pain, swelling, or blood poisoning. The implants often had to be removed and replaced with non-defective parts. The Stryker lawsuits were consolidated in New Jersey and Minnesota courts. Rather than go to trial, the company agreed to set aside a fund to settle all of the claims which arose before November 3, 2014. Patients who had the Stryker implants surgically removed and underwent revision surgery before the cutoff date will receive at least $300,000 in compensation. If the patients required multiple surgeries to fix the implants, or had additional medical complications, they may be entitled to more compensation. 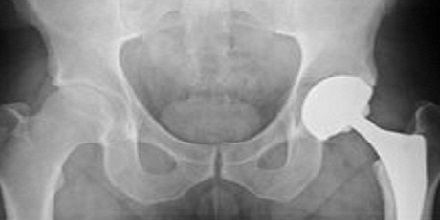 Patients who had implants placed in both hips are eligible for double the settlement amount. Across the U.S., approximately 20,000 people were given either the Rejuvenate or ABG II hip implants. Patients who need revision surgery after the November 3, 2014 cut-off date are not eligible for this settlement, but will still be able to pursue lawsuits against Stryker Corp. individually. To learn more about the settlement, visit www.strykermodularhipsettlement.com. Attorneys for the Stryker Corp. estimate that the settlement funds will be disbursed to the claimants by the end of 2015. If you or your loved one had a hip replacement which failed, needed to be replaced, or caused medical complications like blood poisoning, you may be eligible for compensation. The personal injury lawyers in Phoenix at Phillips Law Group are investigating claims against Stryker, Johnson & Johnson, and other manufacturers of defective hip implants, and would like to hear from you. Call or text 1-800-706-3000 or use our case evaluation form to schedule a free consultation and learn how you can protect your legal rights if you were injured by a defective medical device.